Twelve months into retirement has been an enlightening experience. My world has changed, better than expected. At first I was cautious, as it seemed to me that the general perception, if you strive long enough in the work force you will ultimately reach utopia, sounded unrealistic. I liked working, and my decision to retire was a commercial practicality. Contrary to public opinion I kept an open mind and avoided preconceived ideas until I was in a position to form an opinion. Admittedly, deep down I was a little bit excited as my exit date inched closer. Post retirement, I may not have discovered James Cameron’s Avatar but the promised land has proved its worth and offers a contrary world from whence I came. Surprisingly, I have embraced the disparity in lifestyles and delighted with my new world of learning and discovery. I liken my experience to an old kid beginning kindergarten. New people, new routine, new ways of living and the only difference, a philanthropic appreciation of the older generation, many similar to my own age. As part of my grand new retiree world, one such virtuous experience has been to participate as a photographic model for a company who develops and manages lifestyle retirement villages. Aura Holdings www.auraholdings.com.au engaged my services, along with my now newly formed friends, to represent their company for a fun photographic and video day. We strolled along the water’s edge of Queensland’s pristine Gold Coast beaches and listened to chirping birds as we meandered through the local parklands. Prior to this, I was unaware of the state-of-the art living apartments being developed to cater for pending or existing retirees, consequently my first cordial introduction via our modelling shoot, was delightful. Following this, Aura Holdings invited “the models” to attend Queensland’s launch of the CHAT Speaker Series (Care Help Ageing Thriving). The series is “a thought leadership” programme that connects experts in the area of positive ageing with the local community through powerful and engaging free talks. 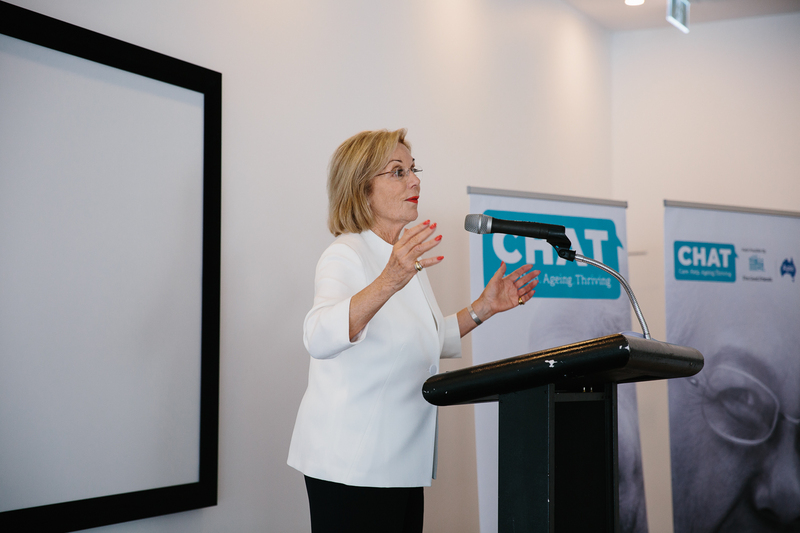 In partnership with in-home care provider, Five Good Friends, the launch was initiated by our own Australian media icon, guest speaker Ita Buttrose AO OBE. Ita is also the Ambassador for Five Good Friends and her messages focused on positive ageing, the importance of physical exercise for body and mind, and maintaining a social network as we grow old. Ita also highlighted the importance of not only a plan for retiring, but a plan for growing old well and happy. Simon Lockyer, co-founder of Five Good Friends, www.fivegoodfriends.com.au , presented a refreshing and passionate account of their revolutionised age care services. He reiterated the importance of being able to offer support to keep people out of nursing homes and to provide families with guilt free alternatives. Simon spoke about the older people he has met. When he sits down to speak with the residents, “they may sit quietly and not say much, but when they speak they have incredulous stories”, he observed. They are personal books yearning to be published. 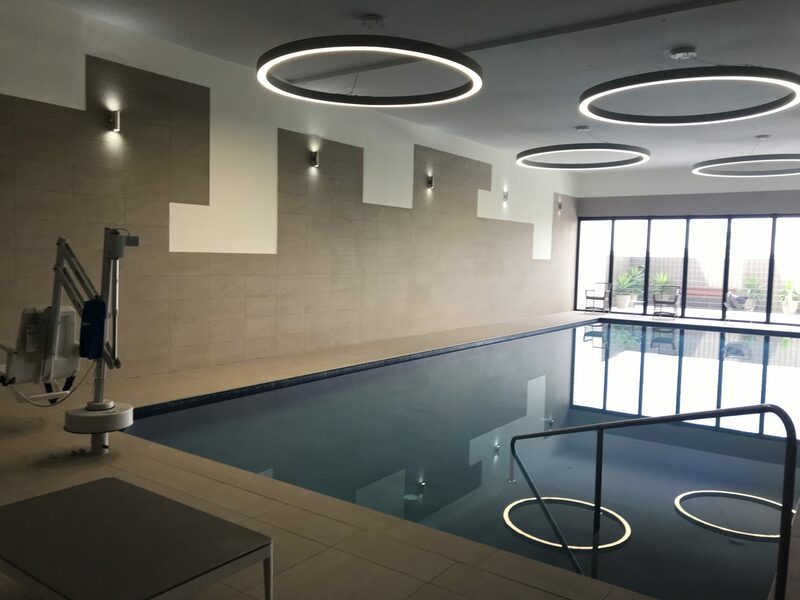 Director of Aura Holdings, Tim Russell discussed the benefits of retirement living and how the modern concepts and designs remove the social isolation factor and provide residents with choices. 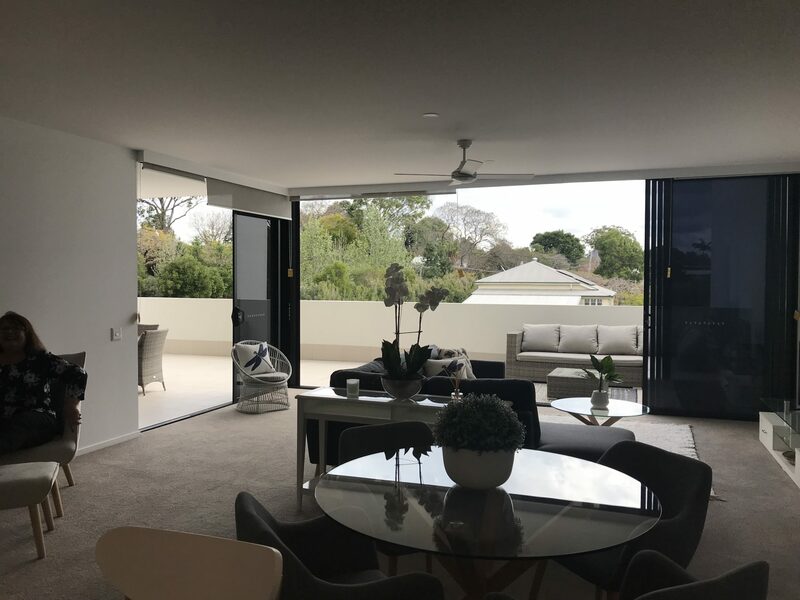 Needless to say, during my tour of their Kingsford Terrace retirement centre, I was in awe of their facilities so much so I felt like putting a deposit on a unit then and there, particularly after viewing their temperature controlled wine room! The complex, surrounded by groomed gardens and shaded pergolas, includes swimming pool, gym, library, games room, schedules of social activities and a Café (also open to the public). The units have a splendid fresh feeling about them. 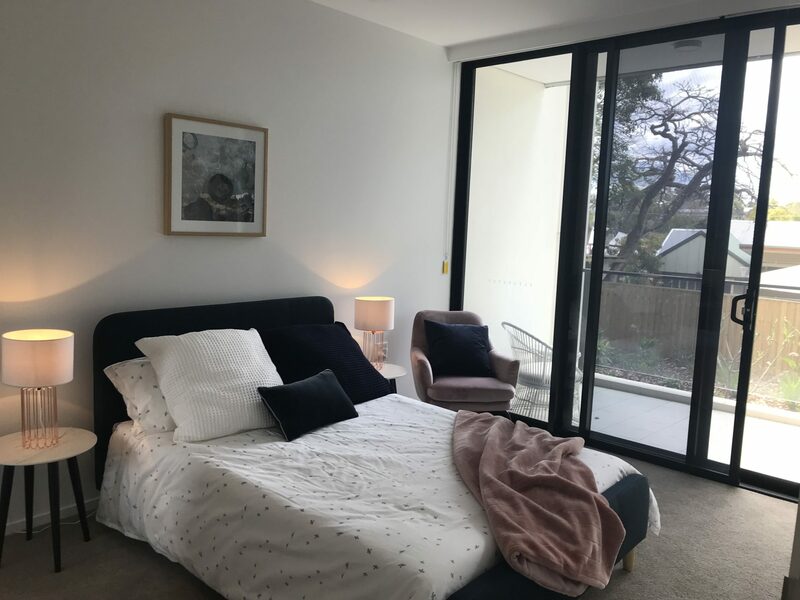 They are a modern architecture with open spacious balconies and the internal fittings designed to cater for people in the event they become frail. 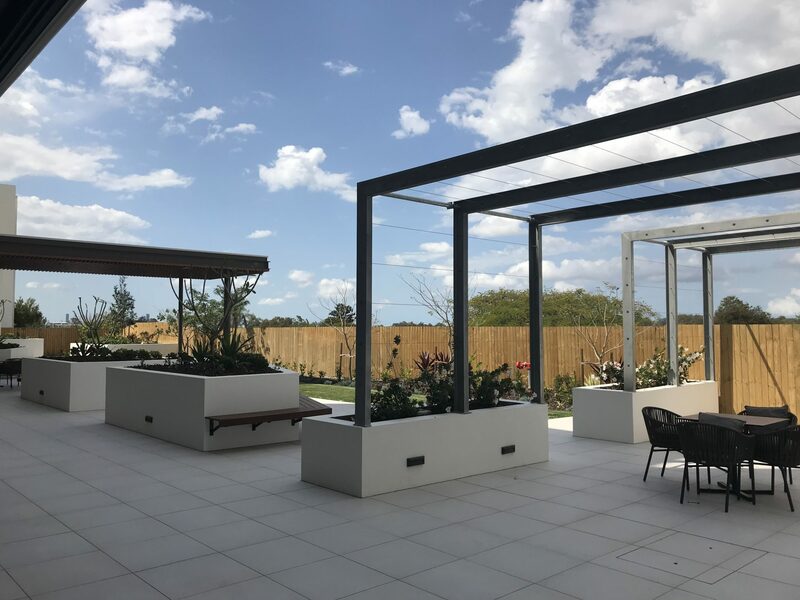 They are the new-age retirement village, with locations throughout SE Queensland. It is obvious they are focused on creating a truly connected retirement as you are surrounded by a community of like-minded people. It was this awesome experience that enlightened my understanding of how things have radically improved for people as their circumstances change and they approach retirement. 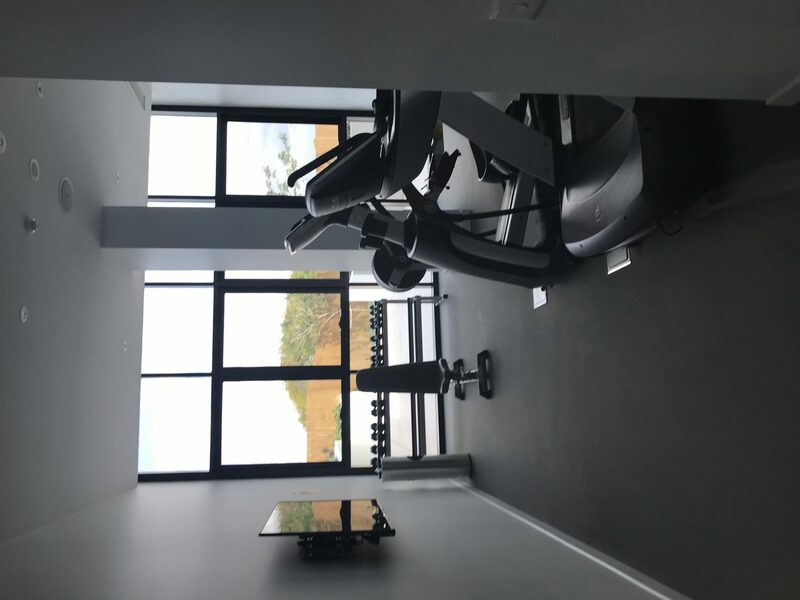 Residents are empowered, have ownership, independence, freedom, quality lifestyle, there are people out there who care and there are wonderful support services available in the community. Happiness is possible. I knew there had to be a better way to approach retirement living and now in 2018 I have found one. As a side note, many years ago I worked in retirement/nursing homes and hospitals to support my children and pay for my university degree. It is an experience I will never forget as it forged my empathy and respect for our aging community. I was deeply affected by the residents’ environment. Their rooms were dimly lit, unwelcoming, minimalistic décor with few personal items and social interaction was limited. There was barely any love and the lingering smell was brutal. Most people sat in their chairs waiting for their next meal or aimlessly walked around to prevent their bodies from seizing up. It was degrading and saddening. There were residents who had lost their ability to speak and there was only so much I could do to cheer them up. I remember saying to myself “I would prefer to die than be institutionalised like this”.